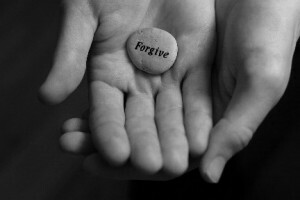 Forgiveness: been there, done that! I wondered where Genevieve Kineke would take this “old, old story” in her new book, Set Free. Needless to say, she surprised and edified me! Set Free is a comprehensive and deeply Catholic treatment of the work of forgiveness, focusing on the special role of women in giving this gift to an injured world. From practical methods to anecdotes that illuminate and inspire, Set Freecovers a lot of ground in a voice at once authoritative and gently maternal. I found myself saying, “YES!” as Kineke treated one sticky wicket after another: Should you forget what you forgive? Can you forgive yourself? How do you know you’ve forgiven? These and many more real-life difficulties in our understanding and practice of forgiveness are handled with great clarity and finesse. We need a book like this in our spiritually crippled age. We need a book that lays out the theological basis of forgiveness. We need stories from the lives of contemporary men and women. We need to see the ripple effect that both wounding and forgiving others brings about. We need advice that is truly Catholic and not counsel that merely makes us feel better. Set Free provides all of this in the context of a wise woman’s admonition that forgiveness is a work of the highest urgency, and one that begins within each woman’s heart. Though this book should be required reading for spiritual directors, I particularly appreciated the author’s awareness that much more counsel about forgiveness will naturally occur within conversations between friends and within the family. Set Free will help anyone be a better friend and parent, framing the work of forgiveness as a great gift, and as a vehicle of deeply healing grace. Charlotte Ostermann is a convert, home educator, editor, spiritual mentor and the author of Souls at Rest: An Exploration of the Idea of Sabbath. She designs custom talks and workshops for retreats and conferences, from her experience as a spiritual mentor and educator. She can be found at www.justoneyeoman.com.